Amy Giles recognises how Plymouth University provided her with the academic foundation and practical legal skills necessary for her vocation. "The most important piece of advice I would give to future students is to work hard! The course is academically tough but the support is fantastic, so use it!" I managed to secure a training contract in the second year of my degree, with Bright Solicitors based in Plymouth, which I started in September 2013. I have been working as a Trainee Solicitor now for two years. 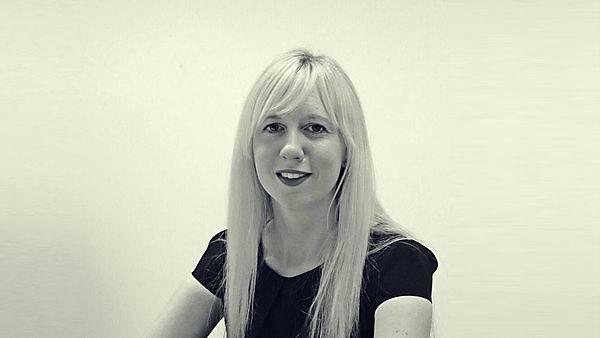 I have worked in various areas of law throughout my training contract including commercial property, residential conveyancing, employment law, and I am now working in commercial and corporate law. My original career goal was to become a criminal barrister. However, after the first year of my degree and studying the contract law module, which I thoroughly enjoyed, I realised that civil law was also a very interesting area. As I progressed through the course I undertook work experience in both criminal and commercial law in solicitors firms and with barristers. I am now about to become a qualified commercial solicitor! I think the most difficult thing I have faced in my career was the transition from academic work at university to the practical reality of life as a trainee solicitor. I studied the LPC at Plymouth University which was of great benefit to me in terms of the real work that I would be carrying out as a trainee, but my training contract has been an even bigger learning curve! I would say that the most exciting part of my career is the social side of it! Some of the other trainees and I have formed a ‘social committee’ which has organised various events including the Great Bright Bake Offs, a tuck shop to raise funds for Macmillan Cancer Support, bowling, and a game of rounders! I also attend events with the Plymouth Junior Chamber and the Plymouth Junior Lawyers Division on a regular basis. The most important piece of advice I would give to future students is to work hard! The course is academically tough but the support is fantastic, so use it! Solicitor firms start recruiting for training contracts in the second year of your degree so those first year grades really do make a difference when studying law or considering a career in law. Work experience is also one of the most important things for anyone wanting to enter the legal profession. Employers will take it for granted that you are strong academically so it is important to gain work experience as much as possible and as varied as possible, in order to identify the area in which you want to practice and to demonstrate to employers a commitment to the legal profession. My degree and the Legal Practice Course have definitely equipped me with the right knowledge and skills. The degree gave me a fantastic academic background to undertake the much more practical Legal Practice Course. In terms of employability, I would say that the Legal Practice Course was most helpful in developing commercial awareness and the practical legal skills necessary for my training contract. I also believe that Plymouth University is fairly unique in its focus on practical legal skills during the degree course, which was good preparation for developing skills such as negotiation and advocacy.